With Maryland's plans to add toll lanes to the entire length of the Capital Beltway within its borders, Virginia is now looking at possibly extending its existing Beltway toll lanes northward to the Maryland line. WASHINGTON — With Maryland’s plans to add toll lanes to the entire length of the Capital Beltway within its borders, Virginia is now looking at possibly extending its existing Beltway toll lanes northward to the Maryland line. The idea is to lengthen the I-495 Express Lanes in Virginia by about 3 miles, from the Dulles Toll Road interchange to the American Legion Bridge. The project will be developed in tandem with Maryland’s to ensure they are compatible, but Virginia’s plan will also be able to stand alone, said the Virginia Department of Transportation. 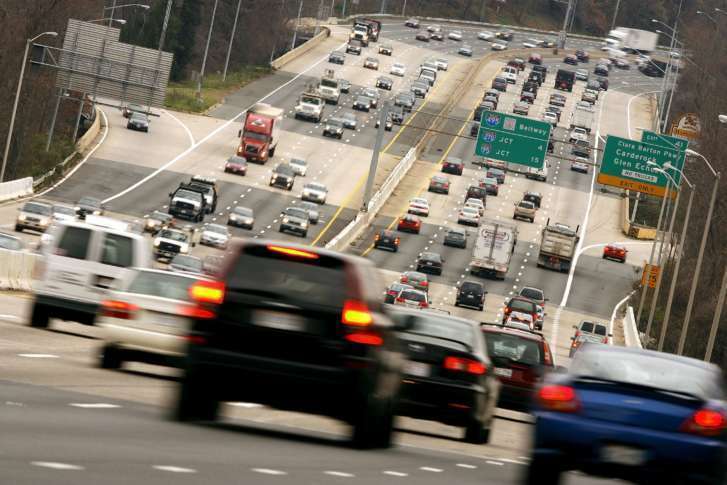 VDOT launched a $6 million environmental study of its project in April. The study is expected to be finished in late spring of next year, after a public hearing planned for early spring.